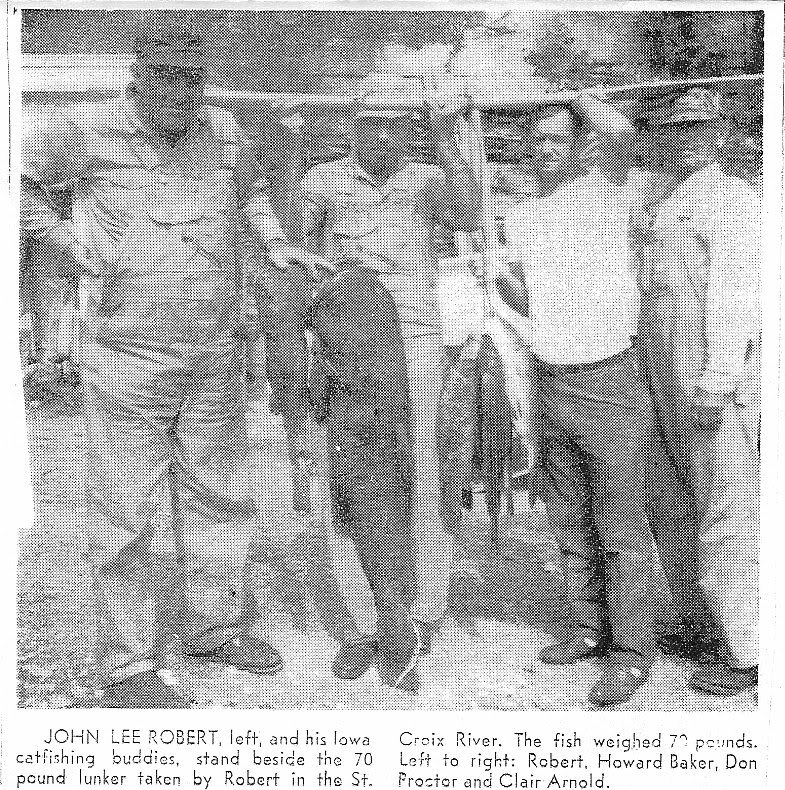 The record Flathead is 70-pounds caught in 1970 in the St Croix River and the record Channel Cat is 38-pounds caught in 1975 in the Mississippi River. I was trying to narrow down as much of the fishing information as possible to improve my own chances of getting a record fish. I was trying to find where it was caught, what kind of bait was used, etc, etc. I was able to visit the DNR Headquarters in St Paul where they keep the records and look at the Channel Cat and Flathead Cat record files. I was amazed to find that the files did not contain much specific information and that the verification procedures at that time were not a very rigid process. ” Ever wonder why the water levels of the St Croix River fluctuate to some fantastic degrees? Waterologists, if we may call persons who make a study of this matter by that name, will claim that rain, too much or too little, will keep shooting water levels up or shoot them down. That ain’t necessarily so. 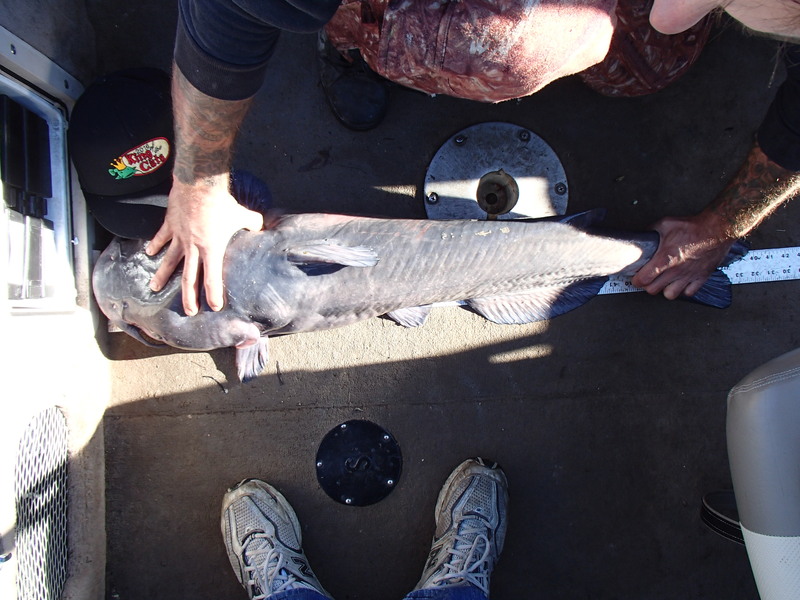 Five Iowa catfishing experts may have much to do with it by taking lunker cats out of the water near Marine-On-The-St Croix. The five are John Lee Robert and Clair Arnold of Garden City, Ralph Ligget of Des Moines and Howard Baker and Don Proctor of Humeston. Robert, who landed the 70 pounder, said “we use deep sea fishing equipment with a 40-pound test line. We also use a big musky net.” And what’s the bait? Robert was a little hesitant about the bait being used but did admit that “we use just about everything”. Liggett, who landed the 68 pounder, also was reluctant to reveal the bait secret. The 24 pounder was taken by Proctor. 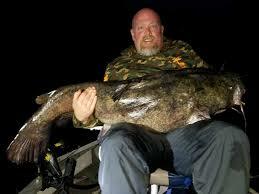 Robert, who added that it takes a lot of time and patience to get the big cats, said that the river has some whoppers. “I had one break a 40-pound test line and last year we swamped the boat trying to land one.” They’re hoping to get that one back on the line. Not only was record keeping in MN a bit on the lax side for Catfish back in the 70′s, very few people even cared in this state. 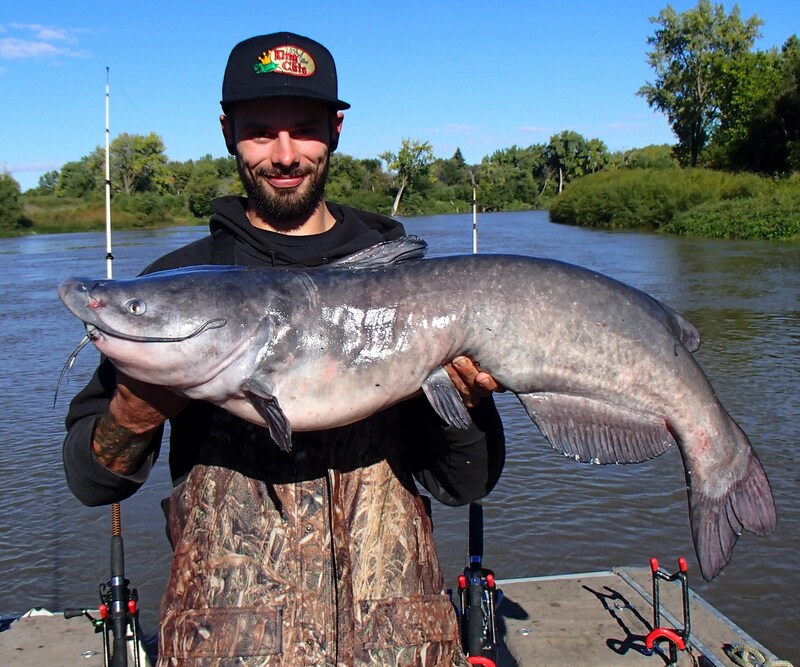 In 2016 MN finally started an official catch and release record for Flathead catfish. The first record was caught by Steve DeMars on the St Croix River on May 8th 2016. 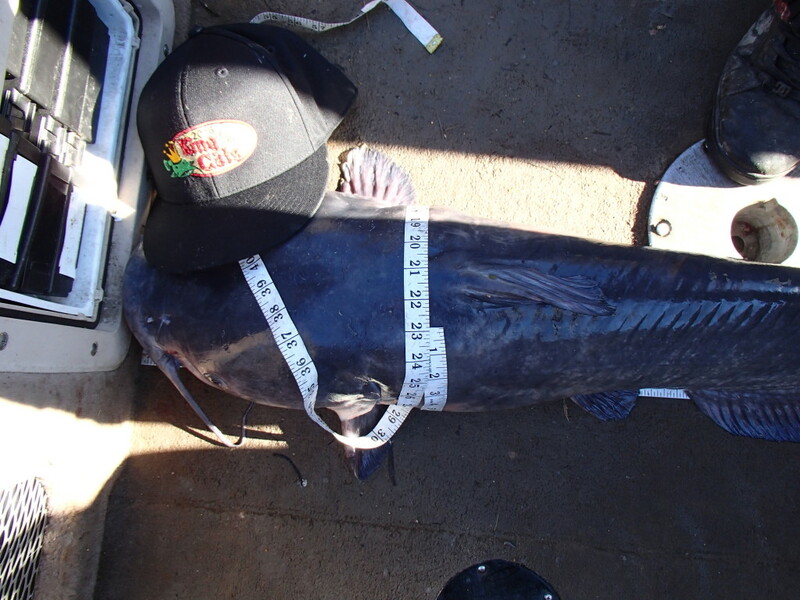 The fish measured 47×30. Later that same year the record was broken by Jake Robinson. This fish measured 49 x 32. The next year Jake Robinson and Josh Moe set a new record with both of them catching a fish measuring 49 x 33.5. On Aug 2nd 2017, the current record holder Mark Mosby caught a massive 52 x 32 on the St Croix River. Minnesota does not currently recognize a Channel Cat catch and release record, so until that time, we will keep a record here at KOTC. The current unofficial record was caught by Jake Robinson on Sept 11th 2016. The fish measured 40 x 23. 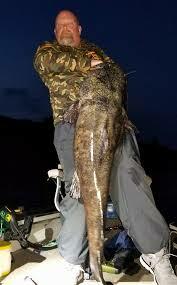 It was caught on the lower stretch of the Red River between Drayton and the Canadian Border.